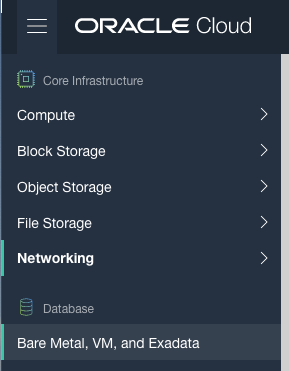 When setting up a Database on Oracle Cloud Infrastructure (OCI) for the first time there are a few pre and post steps to complete before you can access the database using a JDBC type of connect, just like what you have in SQL Developer, or using Python or other similar tools and/or languages. The first step, when starting off with OCI, is to create a Virtual Cloud Network. Create a VCN and take all the defaults. But change the radio button shown in the following image. That's it. We will come back to this later. 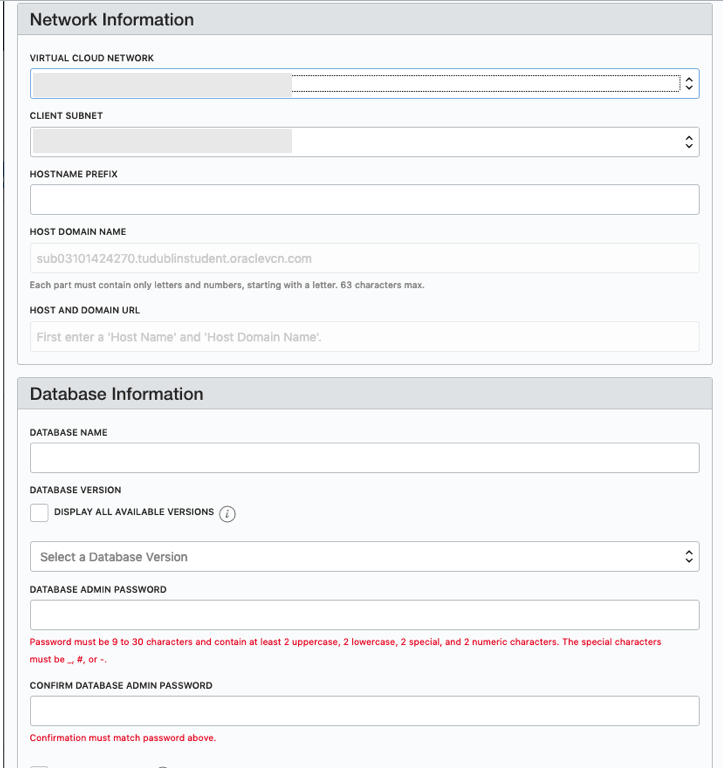 select 'Bare Metal, VM and Exadata' from the menu. Click on the 'Launch DB System' button. Fill in the details of the Database you want to create and select from the various options from the drop-downs. 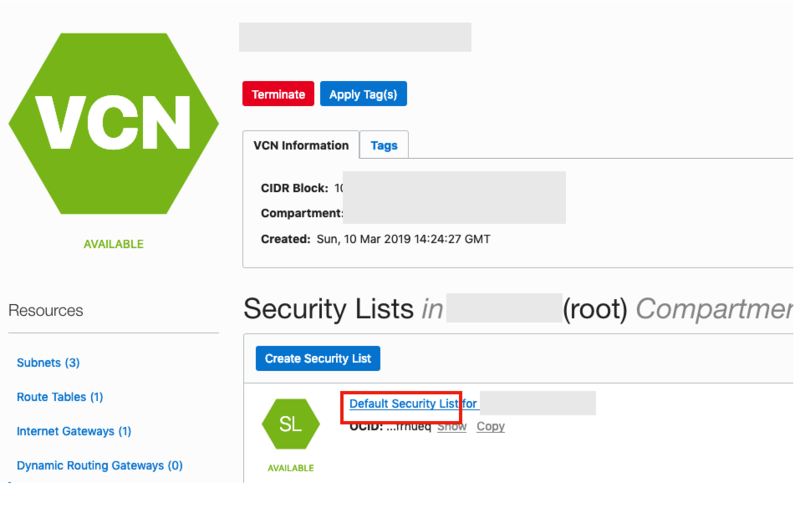 Fill in the details of the VCN you created in the previous set, and give the name of the DB and the Admin password. When you are finished everything that is needed, the 'Launch DB System' at the bottom of the page will be enabled. After clicking on this botton, the VM will be built and should be ready in a few minutes. When finished you should see something like this. To be able to access this with a Basic connection in SQL Developer and most programming languages, we will need to open port 1521 to allow these tools and languages to connect to the database. 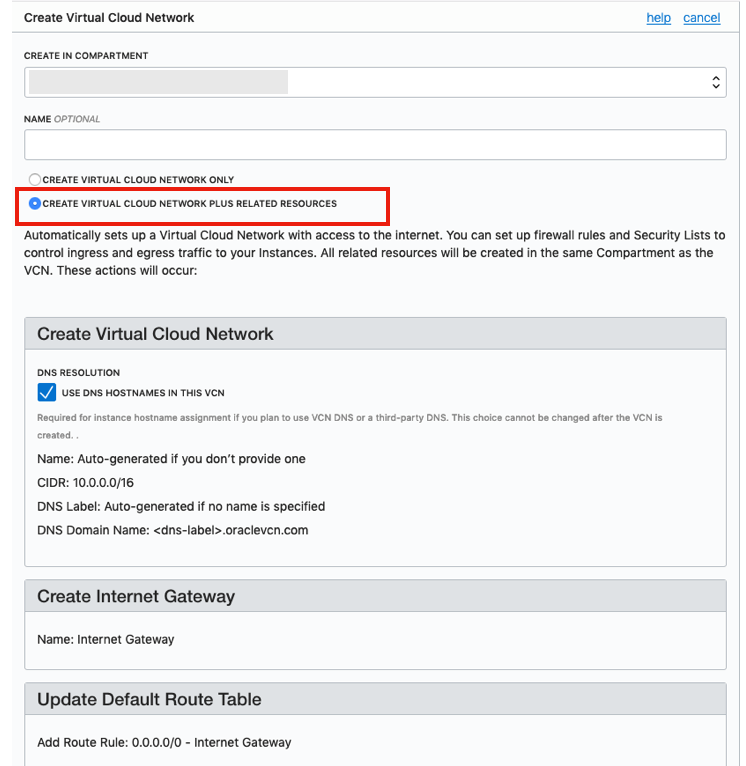 To do this go back to the Virtual Cloud Networks section from the menu. 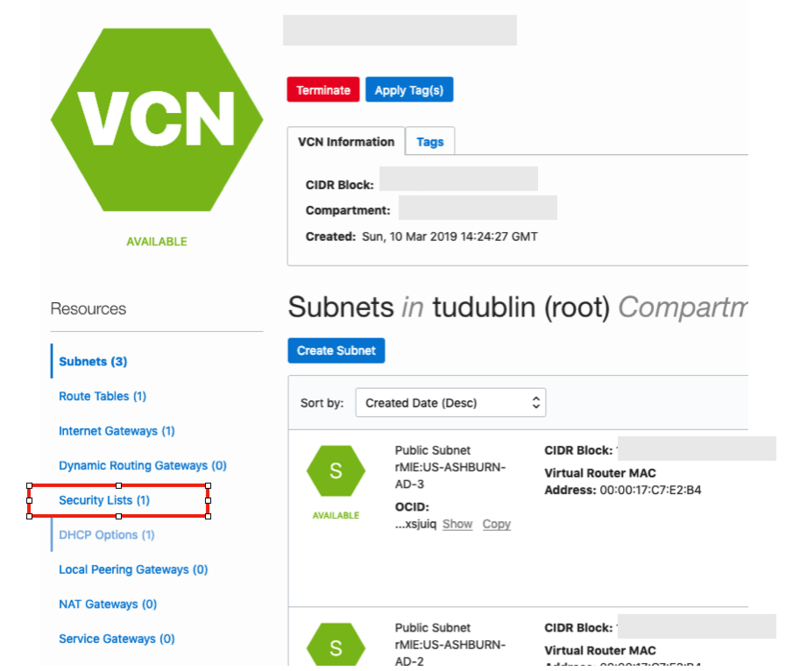 Click into your VCN, that you created earlier. You should see something like the following. Click on the Security Lists, menu option on the left hand side. 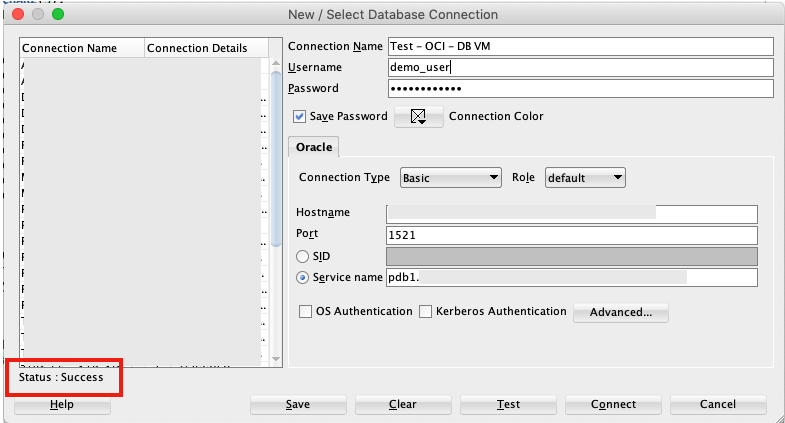 Now you can connect to the OCI Database using a basic SQL Developer Connection. This is my third (of five) post on using Python to process Twitter data. Check out my all the posts in the series. In this post I'll have a quick look at how to save the tweets you have download. By doing this allows you to access them at a later point and to perform more analysis. You have a few instances of saving the tweets. The first of these is to save them to files and the second option is to save them to a table in a database. 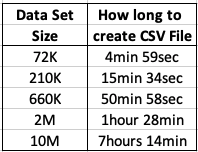 In the previous blog post (in this series) I had converged the tweets to Pandas and then used the panda structure to perform some analysis on the data and create some charts. We have a very simple command to save to CSV. We can inspect this file using a spreadsheet or some other app that can read CSV files and get the following. When you want to read these tweets back into your Python environment, all you need to do is the following. There are two ways to add tweets to table in the database. There is the slow way (row-by-row) or the fast way doing a bulk insert. Before we get started with inserting data, lets get our database connection setup and the table to store the tweets for our date. To do this we need to use the cx_oracle python library. The following codes shows the setting up of the connections details (without my actual login details), establishes the connects and then retrieves some basic connection details to prove we are connected. Now we can create a table based on the current date. cre_table = "CREATE TABLE TWEETS_" + cur_date + " (tweet_id number, screen_name varchar2(100), place varchar2(2000), lang varchar2(20), date_created varchar2(40), fav_count number, retweet_count number, tweet_text varchar2(200))"
Now lets first start with the slow (row-by-row) approach. To do this we need to take our Panda data frame and convert it to lists that can be indexed individually. Now let us look a quicker way of doing this. WARNING: It depends on the version of the cx_oracle library you are using. You may encounter some errors relating to the use of floats, etc. You might need to play around with the different versions of the library until you get the one that works for you. Or these issues might be fixed in the most recent versions. The first step is to convert the panda data frame into a list. Now we can do some cursor setup like setting the array size. This determines how many records are sent to the database in each batch. Better to have a larger number than a single digit number. Check out the other blog posts in this series of Twitter Analytics using Python. If you used other languages, including Oracle PL/SQL, more than likely you will have experienced having to play buffering the number of records that are returned from a cursor. Typically this is needed when you are processing more than a few hundred records. The default buffering size is relatively small and by increasing the size of the number of records to be buffered can dramatically improve the performance of your code. As with all things in coding and IT, the phrase "It Depends" applies here and changing the buffering size may not be what you need and my not help you to gain optimal performance for your code. 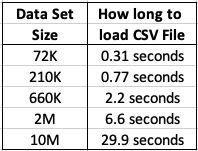 There are lots and lots of examples of how to test this in PL/SQL and other languages, but what I'm going to show you here in this blog post is to change the buffering size when using Python to process data in an Oracle Database using the Oracle Python library cx_Oracle. Let us begin with taking the defaults and seeing what happens. In this first scenario the default buffering is used. Here we execute a query and the process the records in a FOR loop (yes these is a row-by-row, slow-by-slow approach. Processing the data this way takes approx. 28 seconds and this corresponds to the buffering of approx 50-75 records at a time. This involves many, many, many round trips to the the database to retrieve this data. This default processing might be fine when our query is only retrieving a small number of records, but as our data set or results set from the query increases so does the time it takes to process the query. But we have a simple way of reducing the time taken, as the number of records in our results set increases. We can do this by increasing the number of records that are buffered. This can be done by changing the size of the 'arrysize' for the cursor definition. This reduces the number of "roundtrips" made to the database, often reducing networks load and reducing the number of context switches on the database server. The following gives an example of same code with one additional line. Here is the full code example. Now the response time to process all the records is. Starting cursor at 10:13:02 Finished cursor at 10:13:02 Starting for loop 10:13:02 10000 records processed 10:13:04 20000 records processed 10:13:06 30000 records processed 10:13:08 40000 records processed 10:13:10 50000 records processed 10:13:12 Finished for loop at 10:13:13 Number of records counted = 55500 in 11.780734777450562 seconds. All done in just under 12 seconds, compared to 28 seconds previously. Here is another alternative way of processing the data and retrieves the entire results set, using the 'fetchall' command, and stores it located in 'res'. On Friday afternoon (16th February) we started to see tweets and blog posts from people in Oracle saying that Oracle 18c was now available. But is only available on Oracle Cloud and Engineered Systems. Here is the link to the official announcement for Oracle 18c. Oracle 18c is really Oracle 12.2.0.2. The next full new release of the Oracle database is expected to be Oracle 19. And now the all important links to the documentation. 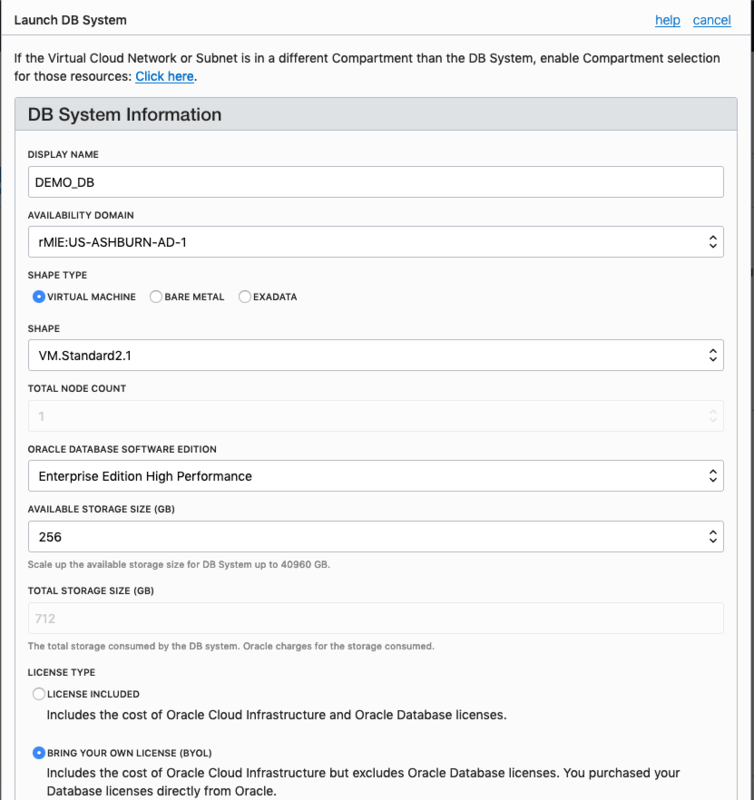 To give Oracle 18c a try you will need to go to cloud.oracle.com and select Database from the drop down list from the Platform menu. 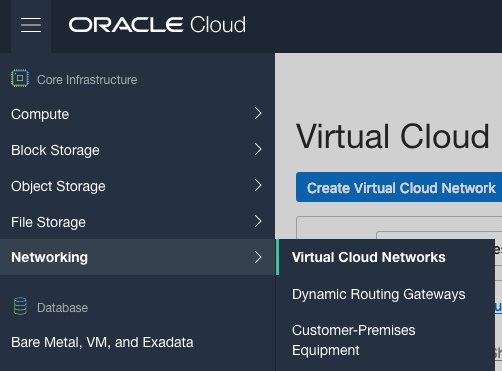 Yes you are going to need an Oracle Cloud account and some money or some free credit. Go and get some free cloud credits at the upcoming Oracle Code events. 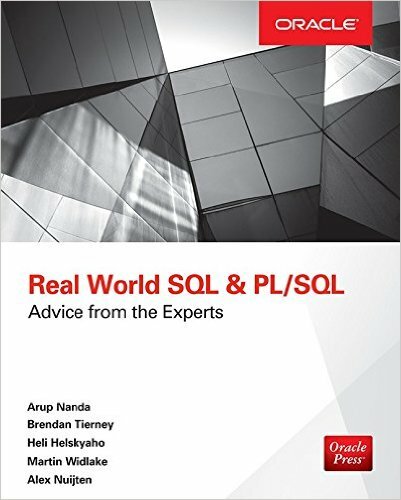 If you want a 'free' way of trying out Oracle 18c, you can use Oracle Live SQL. They have setup some examples of the new features for you to try. NOTE: Oracle 18c is not Autonomous. Check out Tim Hall's blog posts about this. The Autonomous Oracle Database is something different, and we will be hearing more about this going forward. Is Python the new R? Maybe, maybe not, but that I'm finding in recent months is more companies are asking me to use Python instead of R for some of my work. In this blog post I will walk through the steps of setting up the Oracle driver for Python, called cx_Oracle. The documentation for this drive is good and detailed with plenty of examples available on GitHub. Hopefully there isn't anything new in this post, but it is my experiences and what I did. The Python driver requires Oracle Client software to be installed. Go here, download and install. It's a straightforward install. Make sure the directories are added to the search path. You can use pip3 to do this. Now we can create a connection. When you see some text enclosed in angled brackets <>, you will need to enter your detailed for your schema and database server. In this example the query returns the list of tables in the schema. Now list the Views available in the schema. Pandas are commonly used for storing, structuring and processing data in Python, using a data frame format. The following returns the results from a query and stores the results in a panda. Finally we need to wrap thing up and close our cursors and our connection to the database. Watch out for more blog posts on using Python with Oracle, Oracle Data Mining and Oracle R Enterprise. This week Oracle Code will be having an online event consisting of 5 tracks and with 3 presentations on each track. This online Oracle Code event will be given in 3 different geographic regions on 12th, 13th and 14th December. I've been selected to give one of these talks, and I've given this talk at some live Oracle Code events and at JavaOne back in October. The present is pre-recorded and I recorded this video back in September. I hope to be online at the end of some of these presentations to answer any questions, but unfortunately due to changes with my work commitments I may not be able to be online for all of them. The moderator for these events will take your questions (or you can send them to me here) and I will write a blog post answering all your questions. Oracle Open World 2017 will be happening very soon (1st-5th October). Still lots to do before I can get on that plane to San Francisco. My OOW kicks off on Friday 29th September with the ACE Director briefing at Oracle HQ, after flying to SFO on Thursday 28th. This year it is only for one day instead of two days. I really enjoy this event as we get to learn and see what Oracle will be announcing at OOW as well as some things that will be coming out during the following few months. SQL is a very powerful language that has been in use for almost 40 years. SQL comes with many powerful techniques for analyzing your data, and you can analyze data outside the database using SQL as well. Using the new Oracle Big Data SQL it is now possible to analyze data that is stored in a database, in Hadoop, and in NoSQL all at the same time. This session explores the capabilities in Oracle Database that allow you to work with all your data. Discover how SQL really is the unified language for processing all your data, allowing you to analyze, process, run machine learning, and protect all your data. Hopefully this presentation will be a bit of Fun! For those who have been working with the database for a long time, we can sometimes forget what we can really do. For those starting out in the career may not realise what the database can do. The presentation delivers an important message while having a laugh or two (probably at me). Thursday 13:45-14:30 Is SQL the Best Language for Statistics and Machine Learning? Did you know that Oracle Database comes with more than 300 statistical functions? And most of these statistical functions are available in all versions of Oracle Database? Most people do not seem to know this. When we hear about people performing statistical analytics, we hear them talking about Excel and R, but what if we could do statistical analysis in the database without having to extract any data onto client machines? This presentation explores the various statistical areas available in Oracle Database and gives several demonstrations. We can also greatly expand our statistical capabilities by using Oracle R Enterprise with the embedded capabilities in SQL. This presentation is just one of the 14 presentations that are scheduled for the Thursday! I believe this session is already fully booked, but you can still add yourself to the wait list. My flights and hotel have been paid by OTN as part of the Oracle ACE Director program. Yes this costs a lot of money and there is no way I'd be able to pay these costs. Thank you. My diary for OOW is really full. No it is completely over booked. It is just mental. Between attending conference session, meeting with various product teams (we only get to meet at OOW), attending various community meet-ups, this year I get to attend some events for OUG leaders (representing UKOUG), spending some time on the EMEA User Group booth, various meetings with people to discuss how they can help or contribute to the UKOUG, then there is Oak Table World, trying to check out the exhibition hall, spend some time at the OTN/ODC hangout area, getting a few OTN t-shirts, doing some book promotions at the Oracle Press shop, etc., etc., etc. I'm exhausted just thinking about it. Mosts days start at 7am and then finish around 10pm. If you are at OOW and want to chat then contact me via DM on Twitter or WhatsApp (these two are best) or via email (this will be the slowest way). I'll have another blog post listing the presentations from various people and partners from the Republic of Ireland who are speaking at OOW. This is the fourth and last blog post in a series that looks at how you can examine the details of predicted clusters using Oracle Data Mining. In the previous blog posts I looked at how to use CLUSER_ID, CLUSTER_PROBABILITY and CLUSTER_SET. In this blog post we will look at CLUSTER_DISTANCE. We can use the function to determine how close a record is to the centroid of the cluster. Perhaps we can use this to determine what customers etc we might want to focus on most. The customers who are closest to the centroid are one we want to focus on first. So we can use it as a way to prioritise our workflows, particularly when it is used in combination with the value for CLUSTER_PROBABILITY. Here is an example of using CLUSTER_DISTANCE to list all the records that belong to Cluster 14 and the results are ordered based on closeness to the centroid of this cluster. Here is a subset of the results from this query. When you examine the results you may notice that the records that is listed first and closest record to the centre of cluster 14 has a very low probability. You need to remember that we are working in a N-dimensional space here. Although this first record is closest to the centre of cluster 14 it has a really low probability and if we examine this record in more detail we will find that it is at an overlapping point between a number of clusters. This is why we need to use the CLUSTER_DISTANCE and CLUSTER_PROBABILITY functions together in our workflows and applications to determine how we need to process records like these. This is the third blog post on my series on examining the Clusters that were predicted by an Oracle Data Mining model. Check out the previous blog posts. In the previous posts we were able to list the predicted cluster for each record in our data set. This is the cluster that the records belonged to the most. I also mentioned that a record could belong to many clusters. So how can you list all the clusters that the a record belongs to? You can use the CLUSTER_SET SQL function. This will list the Cluster Id and a probability measure for each cluster. This function returns a array consisting of the set of all clusters that the record belongs to. The following example illustrates how to use the CLUSTER_SET function for a particular cluster model. The output from this query will be an ordered data set based on the customer id and then the clusters listed in descending order of probability. The cluster with the highest probability is what would be returned by the CLUSTER_ID function. The output from the above query is shown below. If you would like to see the details of each of the clusters and to examine the differences between these clusters then you will need to use the CLUSTER_DETAILS function (see previous blog post). You can specify topN and cutoff to limit the number of clusters returned by the function. By default, both topN and cutoff are null and all clusters are returned. - topN is the N most probable clusters. If multiple clusters share the Nth probability, then the function chooses one of them. - cutoff is a probability threshold. Only clusters with probability greater than or equal to cutoff are returned. To filter by cutoff only, specify NULL for topN. You may want to use these individually or combined together if you have a large number of customers. To return up to the N most probable clusters that are greater than or equal to cutoff, specify both topN and cutoff. The following example illustrates using the topN value to return the top 4 clusters. and the output from this query shows only 4 clusters displayed for each record. Alternatively you can select the clusters based on a cut off value for the probability. In the following example this is set to 0.05.
and the output this time looks a bit different. Finally, yes you can combine these two parameters to work together. 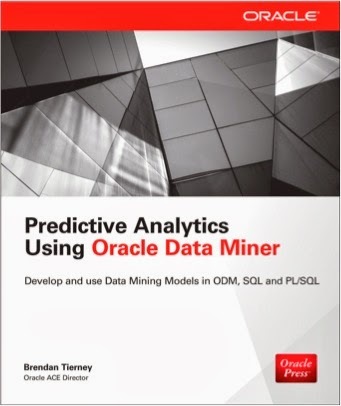 This is the second blog post of my series on examining the clusters that are predicted for by an Oracle Data Mining model for your data. In my previous blog post I should you how to use CLUSTER_ID and CLUSTER_PROBABILITY functions. These are the core of what you will be used when working with clusters and automating the process. In this blog post I will look at what details are used by the clustering model to make the prediction. The function that you can use is called CLUSTER_DETAILS. I had an earlier blog post on using PREDICTION_DETAILS to see some of the details that are produced when performing classification. CLUSTER_DETAILS returns the cluster details for each row in the selection. The return value is an XML string that describes the attributes of the highest probability cluster. Here is an example of using the CLUSTER_DETAILS function in a SELECT statement. The output is an XML string and the easiest way to view this is in SQL Developer. It will list the top 5 highest weighted attributes for the cluster centroid. The returned attributes are ordered by weight. The weight of an attribute expresses its positive or negative impact on cluster assignment. A positive weight indicates an increased likelihood of assignment. A negative weight indicates a decreased likelihood of assignment. By default, CLUSTER_DETAILS returns the attributes with the highest positive weights in defending order. In a previous blog post I gave some details of how you can examine some of the details behind a prediction made using a classification model. This seemed to spark a lot of interest. But before I come back to looking at classification prediction details and other information, this blog post is the first in a 4 part blog post on examining the details of Clusters, as identified by a cluster model created using Oracle Data Mining. 1 - (this blog post) will look at how to determine the predicted cluster and cluster probability for your record. 2 - will show you how to examine the details behind and used to predict the cluster. 3 - A record could belong to many clusters. In this blog post we will look at how you can determine what clusters a record can belong to. 4 - Cluster distance is a measure of how far the record is from the cluster centroid. As a data point or record can belong to many clusters, it can be useful to know the distances as you can build logic to perform different actions based on the cluster distances and cluster probabilities. Right. Let's have a look at the first set of these closer functions. These are CLUSTER_ID and CLUSTER_PROBABILITY. CLUSER_ID : Returns the number of the cluster that the record most closely belongs to. This is measured by the cluster distance to the centroid of the cluster. A data point or record can belong or be part of many clusters. So the CLUSTER_ID is the cluster number that the data point or record most closely belongs too. 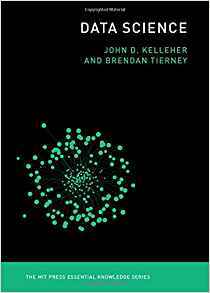 CLUSTER_PROBABILITY : Is a probability measure of the likelihood of the data point or record belongs to a cluster. The cluster with the highest probability score is the cluster that is returned by the CLUSTER_ID function. Now let us have a quick look at the SQL for these two functions. This first query returns the cluster number that each record most strong belongs too. Now let us add in the cluster probability function. These functions gives us some insights into what the cluster predictive model is doing. In the remaining blog posts in this series I will look at how you can delve deeper into the predictions that the cluster algorithm is make. Oracle Data Visualisation Desktop has the feature of being able to include some advanced analytics. In a previous blog post I showed you how to go about installing Oracle R Distribution on your desktop/client machine. This will allow you to make use of some of the advanced analytics features of Oracle Data Visualization Desktop. 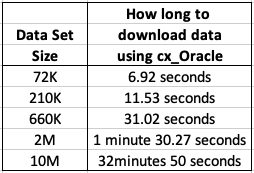 The best way to get started with using the advanced analytics features of Oracle Data Visualization Desktop, is to ignore that these features exist. Start with creating your typical analytics, charts etc. Only then you can really look at adding some of the advanced analytics features. To access the advanced analytics features you can select the icon from the menu bar for advanced analytics. It is the icon with the magnifying glass. When you have listed on this icon the advanced analytics menu opens displaying the 5 advanced analytics options available to you. With your chart/graphic already created then you can click on one of the advanced analytics options and drag it onto your char or onto the palette for the chart. For example in the following diagram the Outlier option was selected and dragged into the Color section. This will then mark Outlier data on your chart with a different color. You can follow a similar approach with all the other advanced analytics options. Click and drag. It is that simple. As you add each advanced analytics option, the chart will be updated automatically for you. An alternative to clicking and dragging from the chart options palette, you can right click on the chart (or click on the wheel on the top right hand corner of the chart window), and then select the advanced analytics feature you want from the menu. or what I prefer doing is to select Properties from the menu above. When you do this you get a new window opening and when you click on the icon with the magnifying glass you get to add and customize the advanced analytics features. I would urge caution when you are reading other demonstrations about Oracle Visualization Desktop that are showing examples of predictive analytics. There are a few blog posts out there and also some videos too. What they are actually showing you is the embedded R execution feature of Oracle R Enterprise. 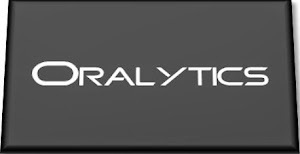 Oracle R Enterprise is part of the Oracle Advanced Analytics Option, which is a licensed option. So if you follow these blog posts and videos, thinking that you can do this kind of advanced analytics, you could be getting into license issues. This confusion is not helped with comments like the following on the Oracle website. "Predictive Analytics: Analytics has progressed from providing oversight to offering insight, and now to enabling foresight. 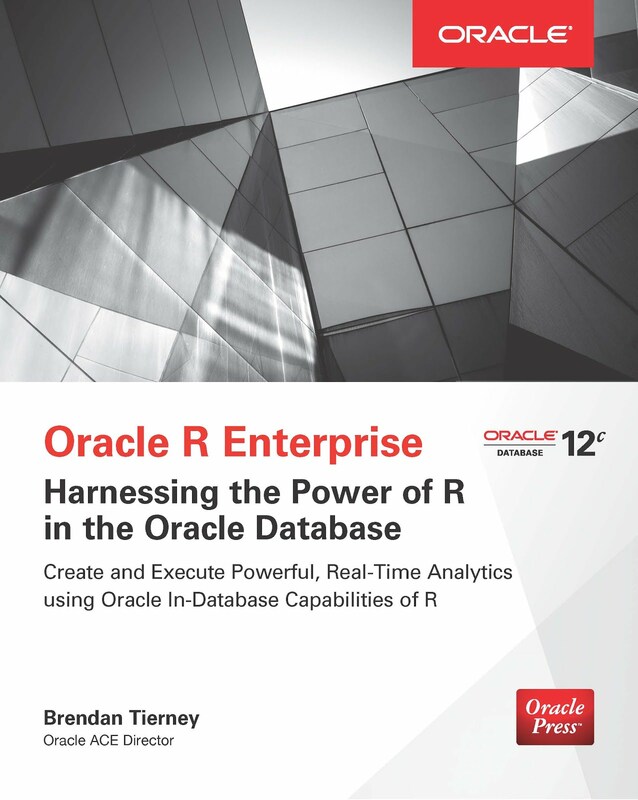 Oracle Data Visualization supports that progression, delivering embedded predictive capabilities that enable anyone to see trend lines and other visuals with a click, and extend their analysis using a free R download." Personally I find this a bit confusing. Yes you can perform some advanced and predictive analytics with Oracle Data Visualization, but you need to ensure that you are using the client side R installation, for your analytics. As with all licensing questions, you should discuss them with your Oracle Sales representative. Oracle Data Visualization comes with all the typical features you have with Visual Analyzer that is part of BICS, DVCS and OBIEE. An additional install you may want to do is to install the R language for Oracle Data Visualization Desktop. This is required to enable the Advanced Analytics feature of the tool. After installing Data Visualisation Desktop when you open the Advanced Analytics section and try to add one of the Advanced Analytics graphing option you will get an errors message as, shown below. In Windows, click on the Start button, then go to Programs and then Oracle. In there you will see a menu item called install Advanced Analytics i.e. install Oracle R Distribution on your machine. When you click on this menu option a new command line window will open and will proceed with the installation of Oracle R Distribution (in this case version 3.1.1, which is not the current version of Oracle R Distribution). By accepting the defaults and clicking next, Oracle R Distribution will be installed. The following images will step you through the installation. The final part of the installation is download and install lots and lots of supporting R packages. When these supporting R packages have been installed, you can now use the Advanced Analytics features of Oracle Data Visualisation Desktop. If you had the tool open during this installation you will need to close/shutdown the tool and restart it.